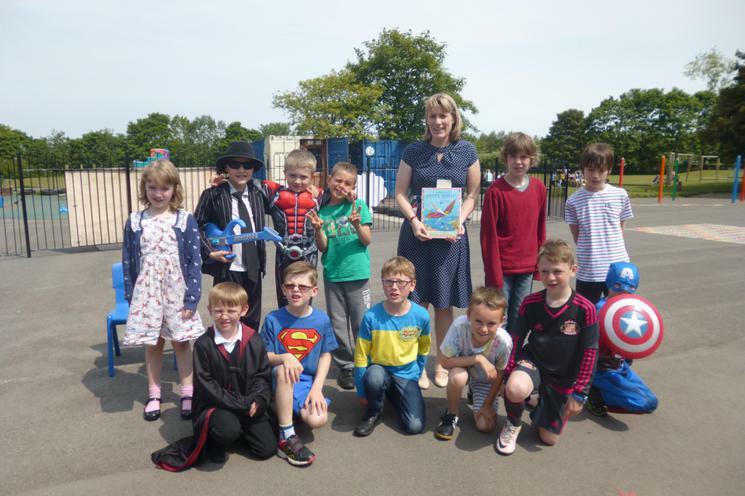 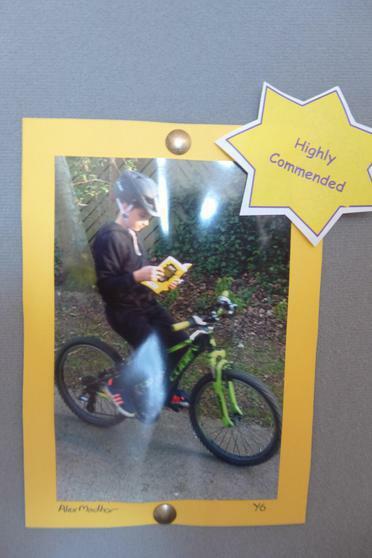 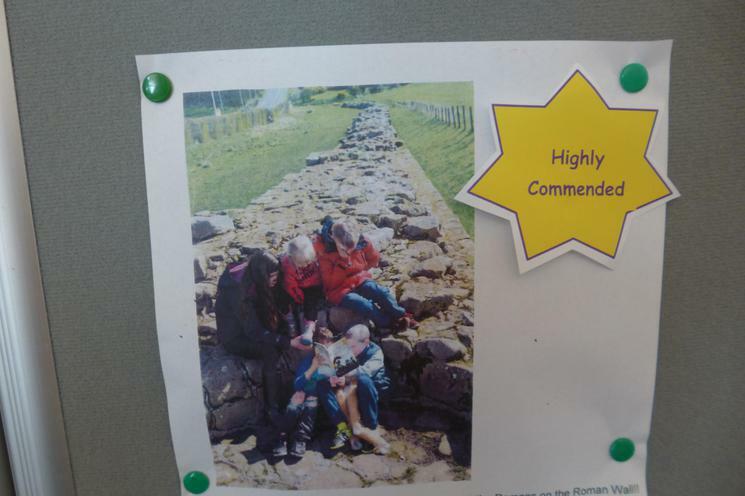 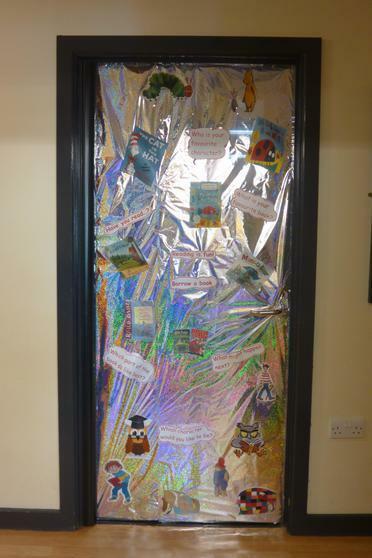 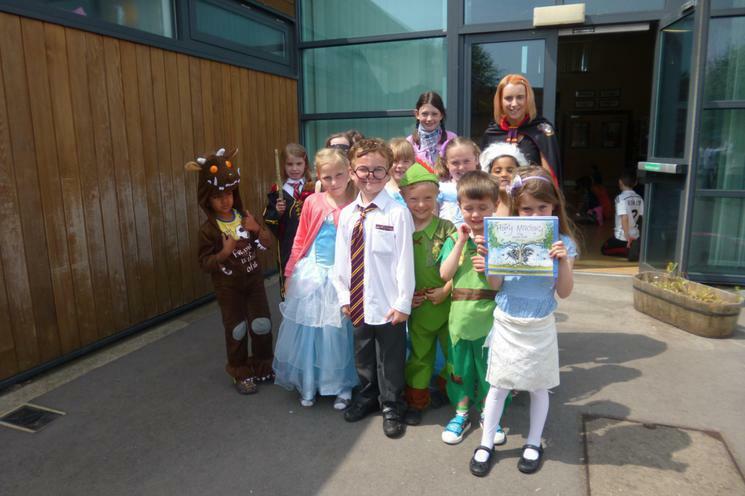 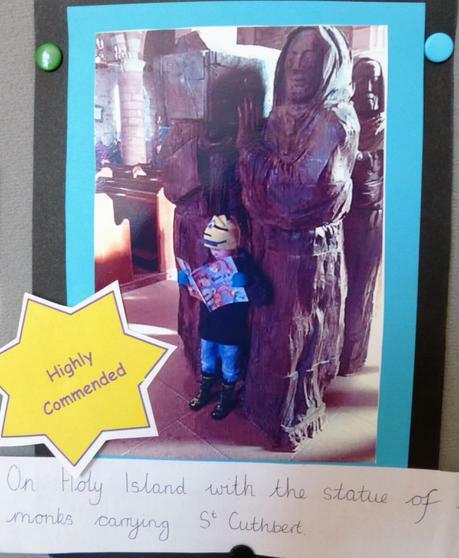 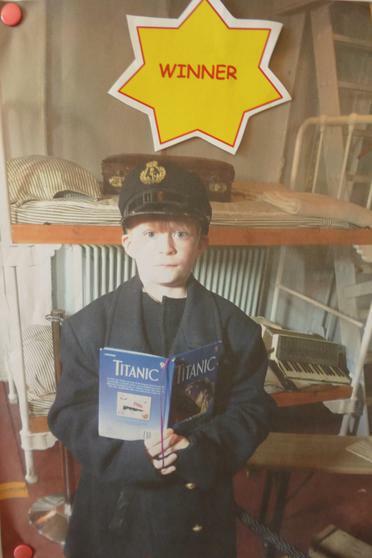 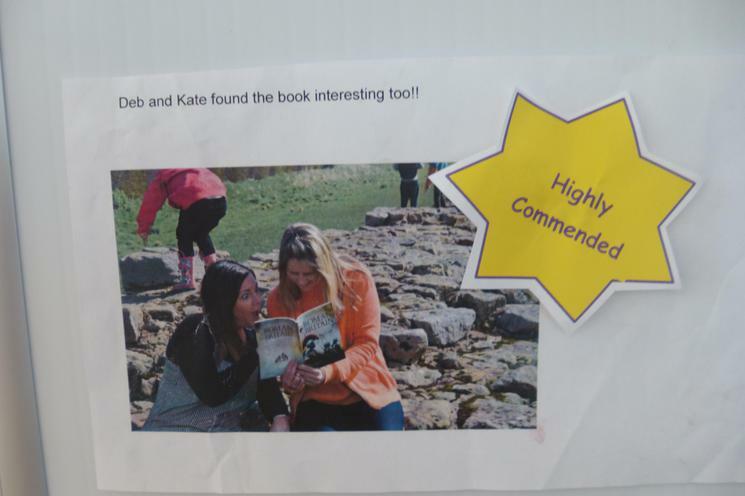 The adults, volunteers, Governors and staff chose the book they wanted to read. 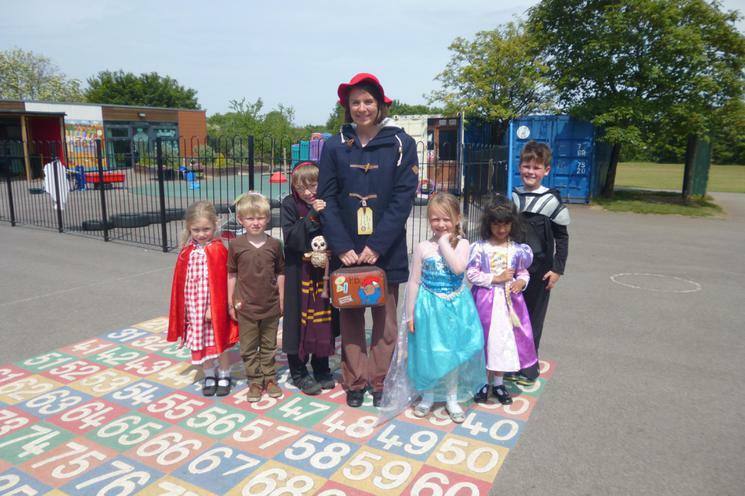 The children chose the story they wanted to listen to and as the sun was shining we all went outdoors to celebrate our favourite stories in style! 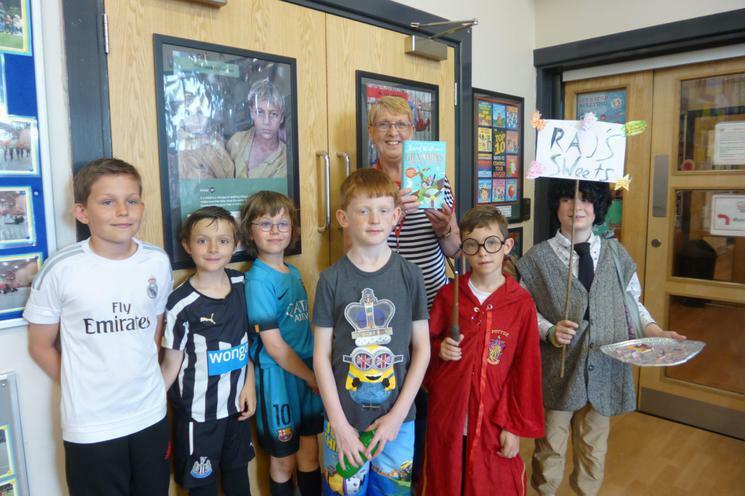 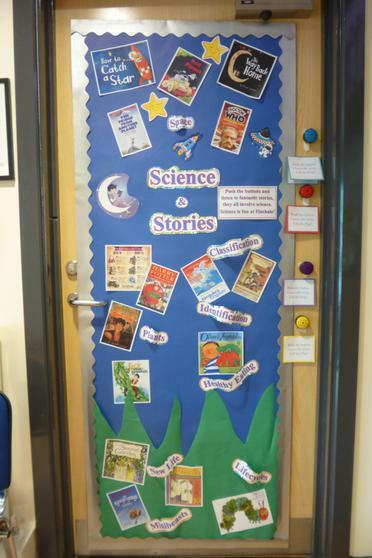 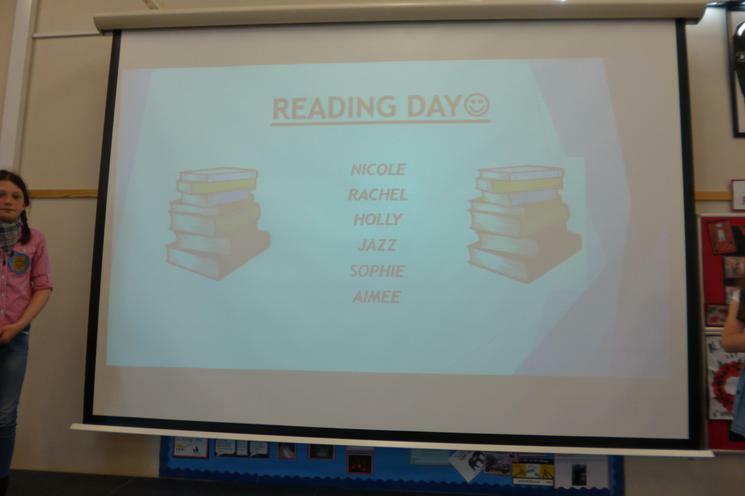 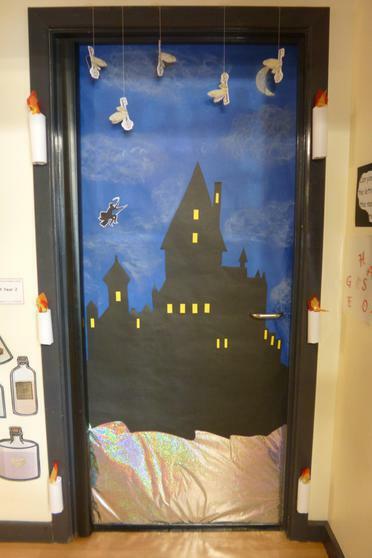 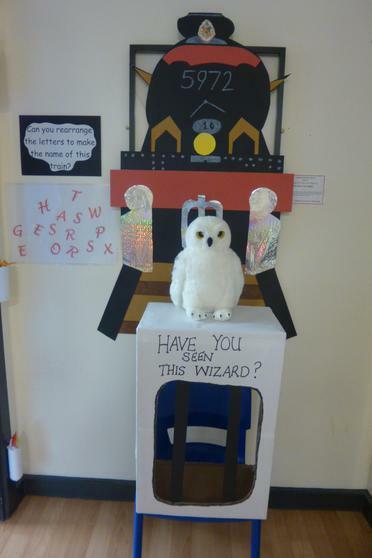 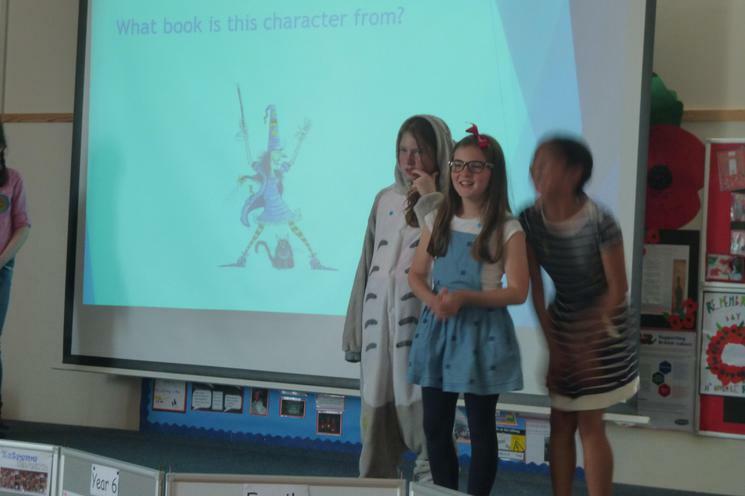 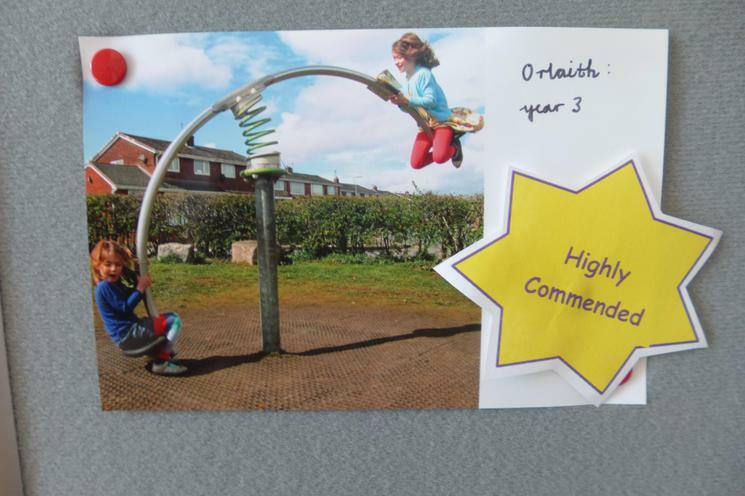 Have a look at the photographs of our story groups, we did not manage to photograph every group so just to let you know the whole story, Miss Johnstone read Gangsta Granny, Mrs Whitton read Bad Mood Bear and Mrs Hall read the Worst Witch. 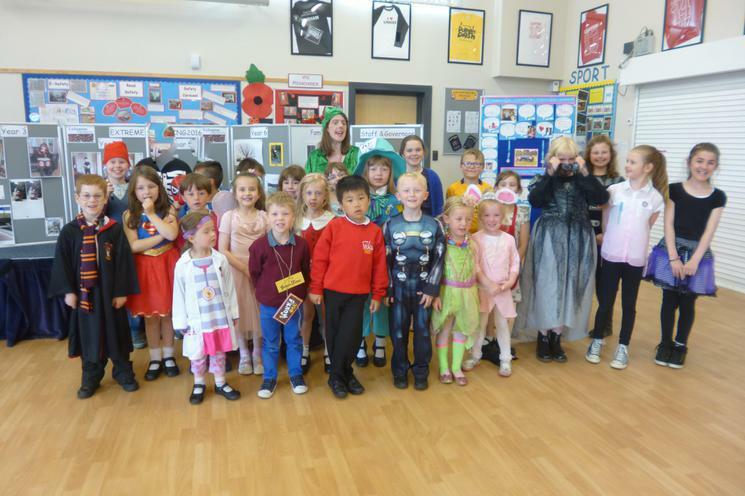 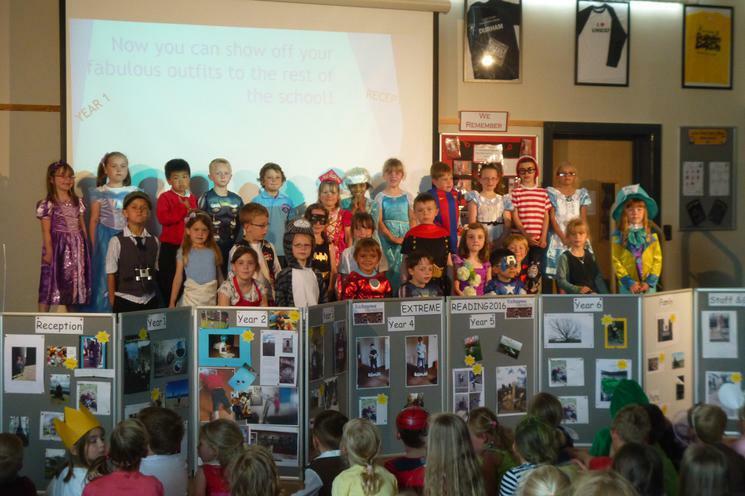 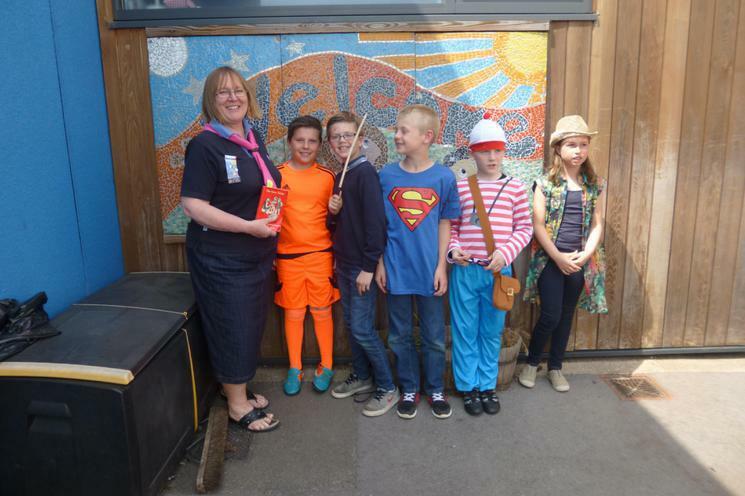 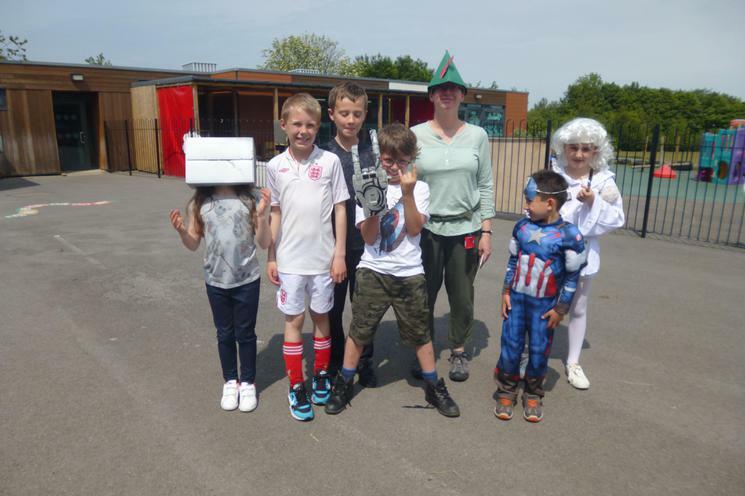 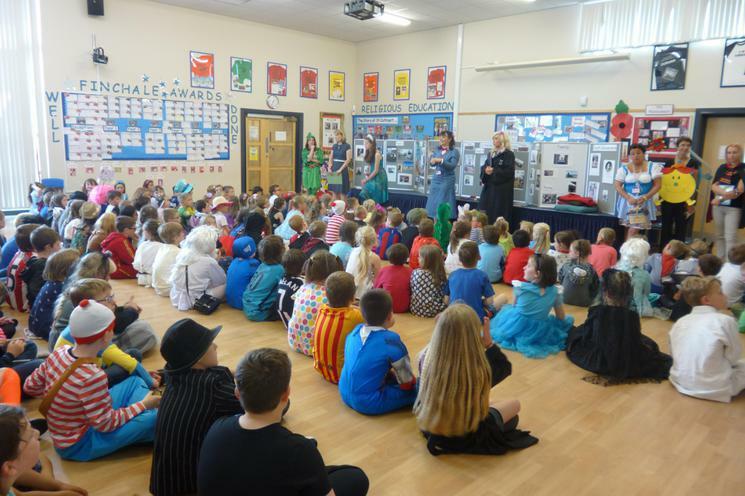 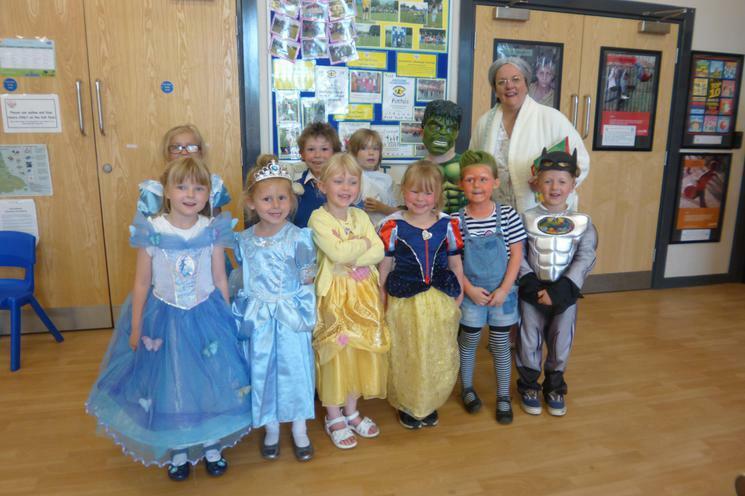 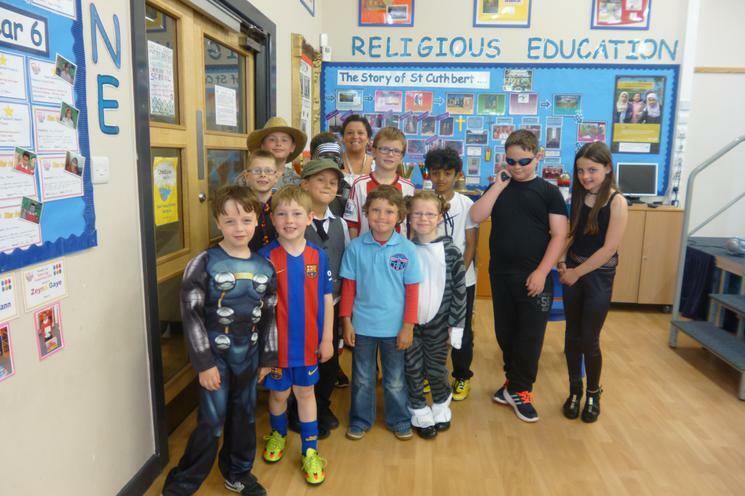 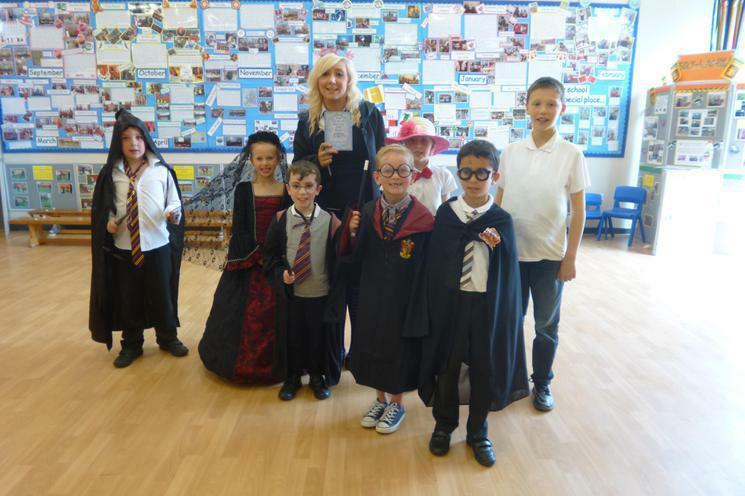 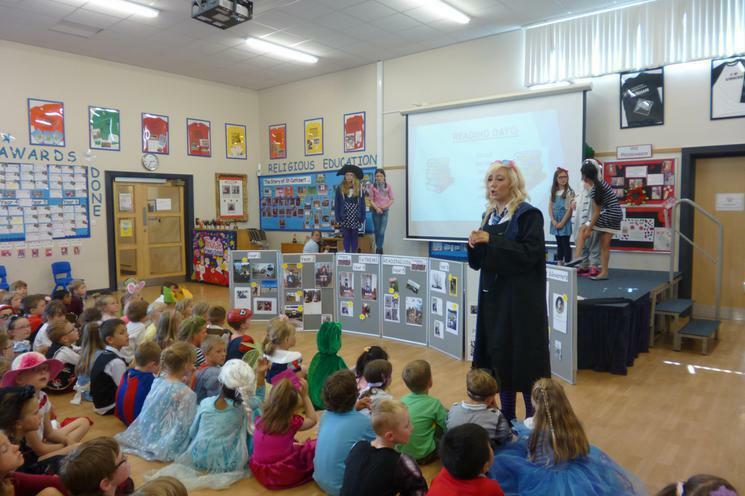 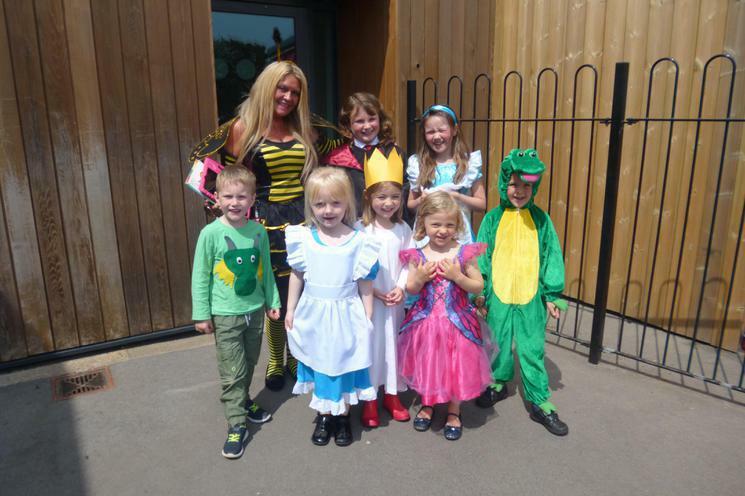 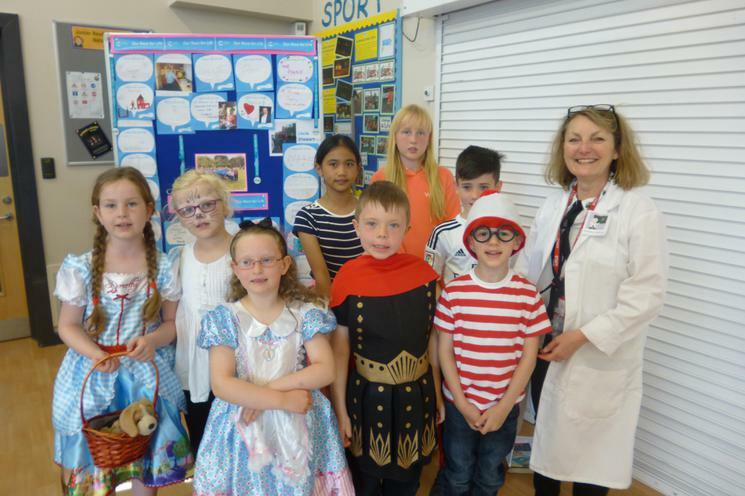 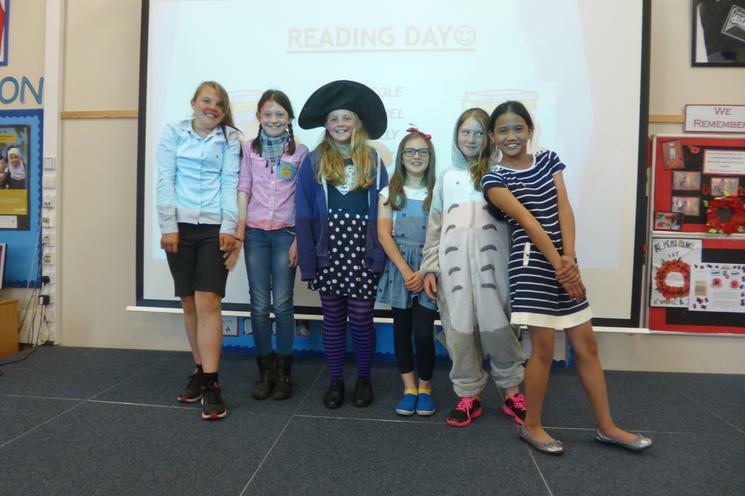 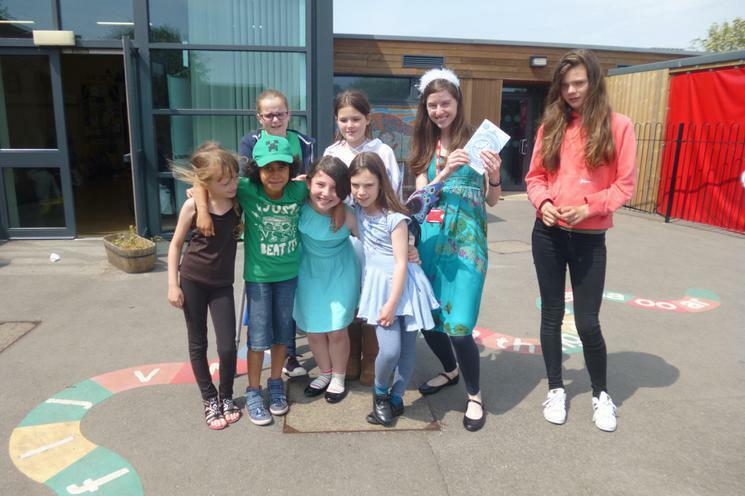 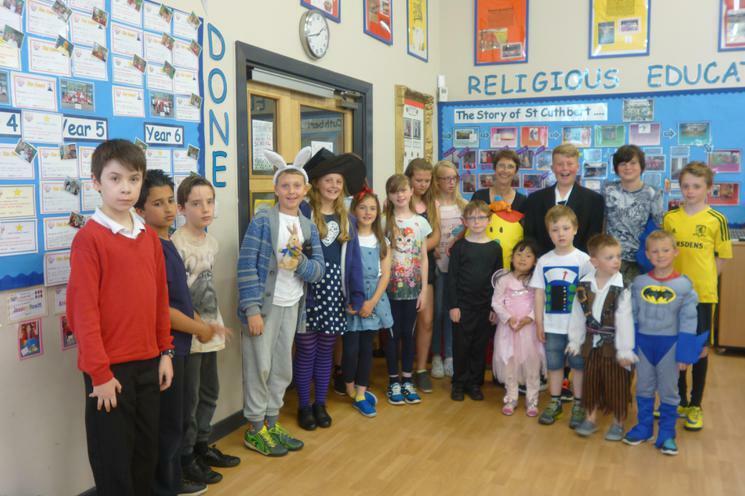 The children judged the fancy dress competition and the winners were: Izzy; Isla Rose; Mae, Jessica; Jay; Lucy; Rachel and Mrs Blackett. 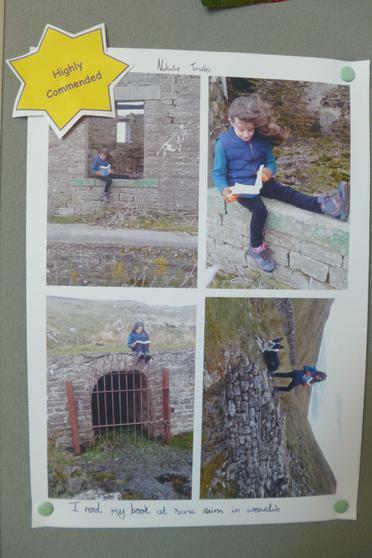 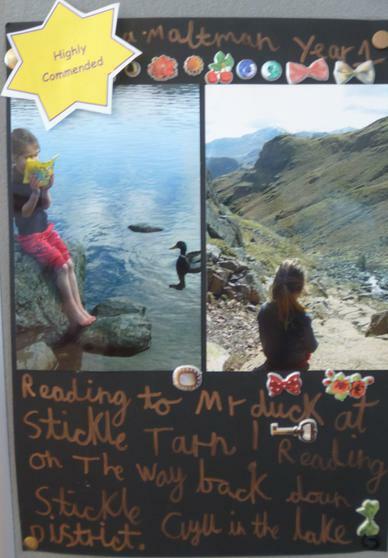 Easter is always an exciting time at school, we invite all children, parents, grandparents and everyone linked to school to take a photograph of themselves reading a book in an extreme condition e.g. 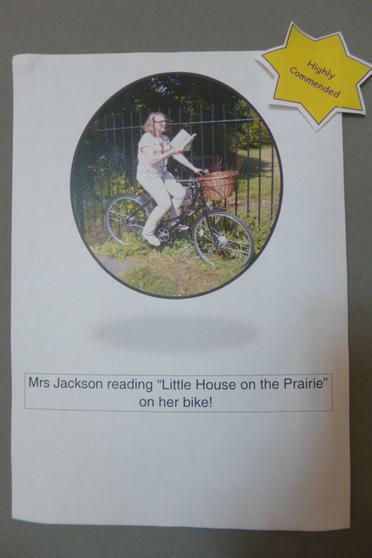 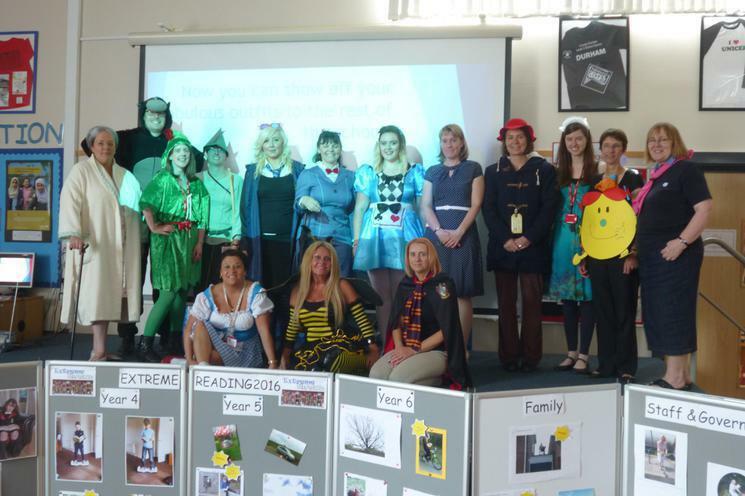 on a rollercoaster, riding a horse etc, and send a hard copy to school which is judged during our Celebration of Reading Day. 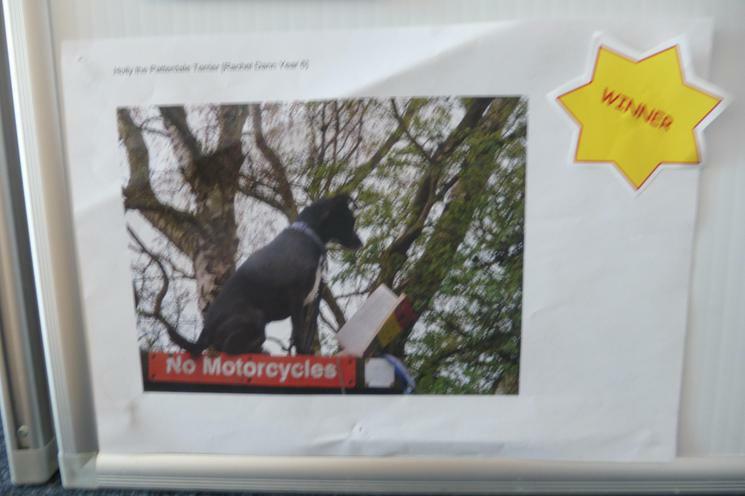 We do ask people not to put themselves in any real danger! 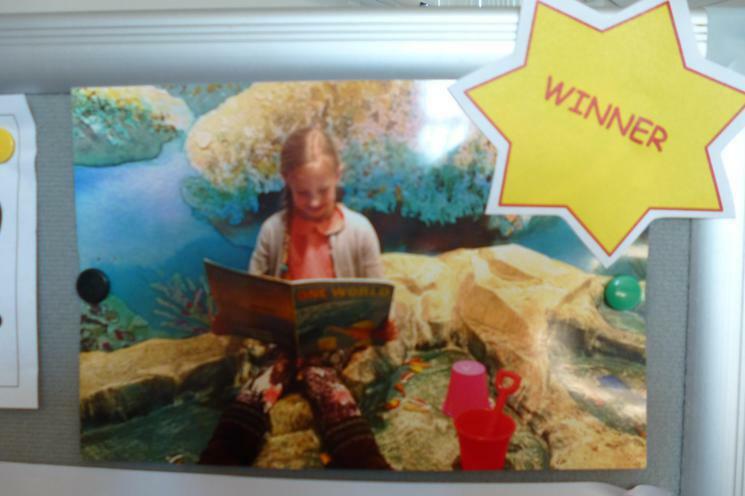 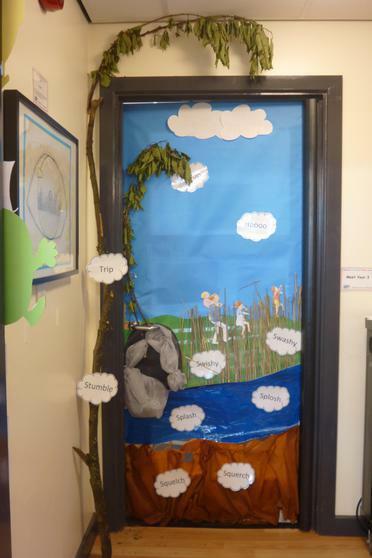 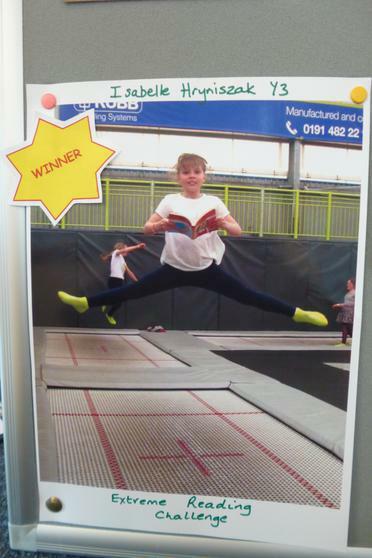 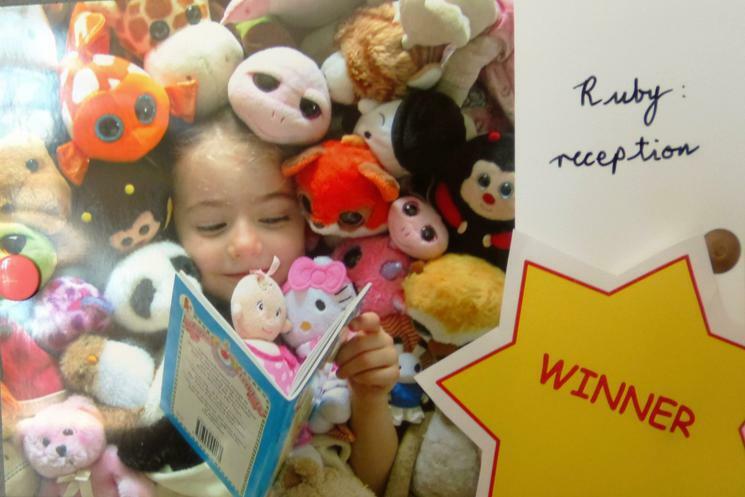 A fun competition and a great way to raise the profile of reading for people of all ages. 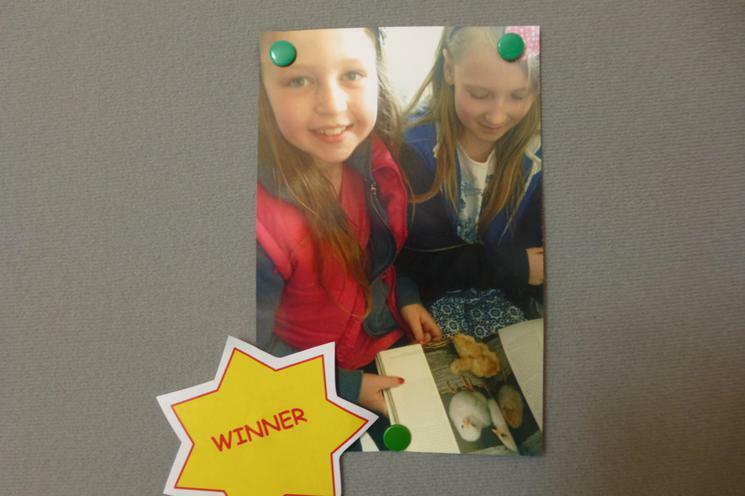 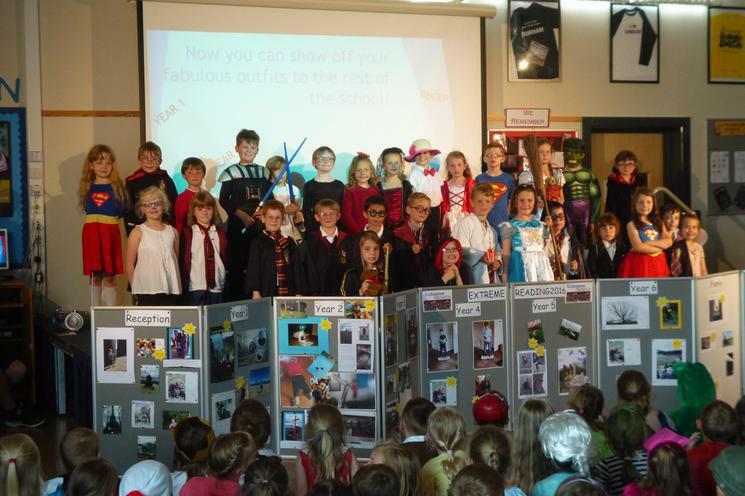 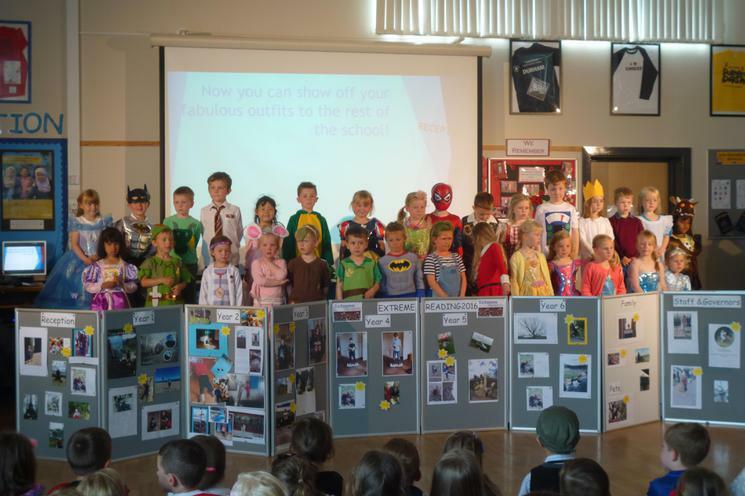 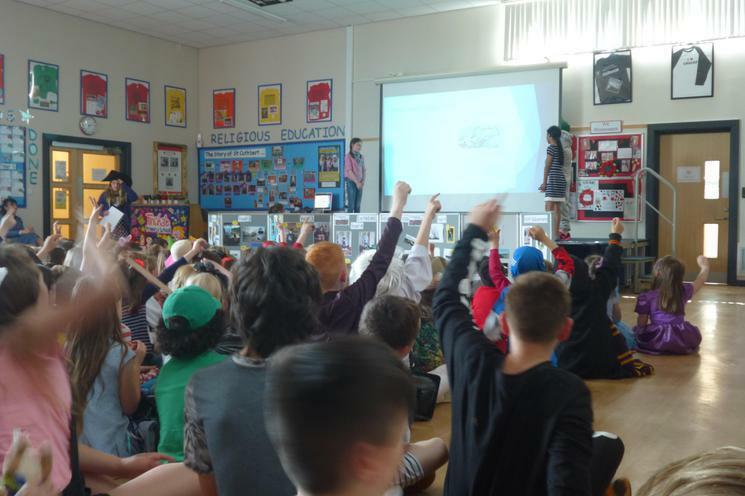 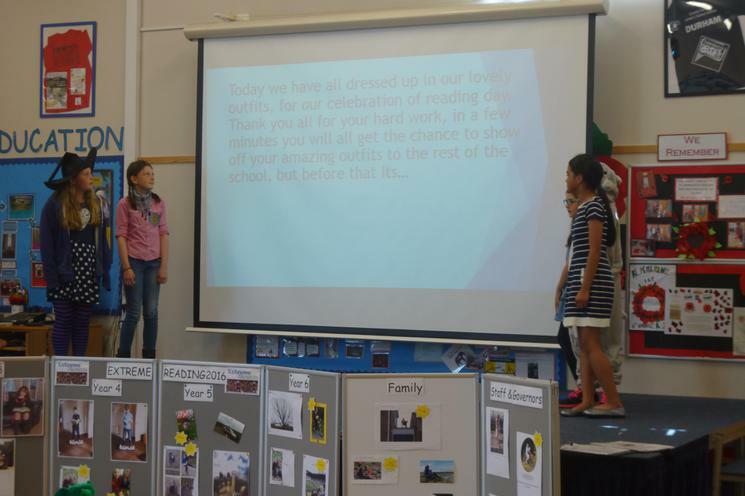 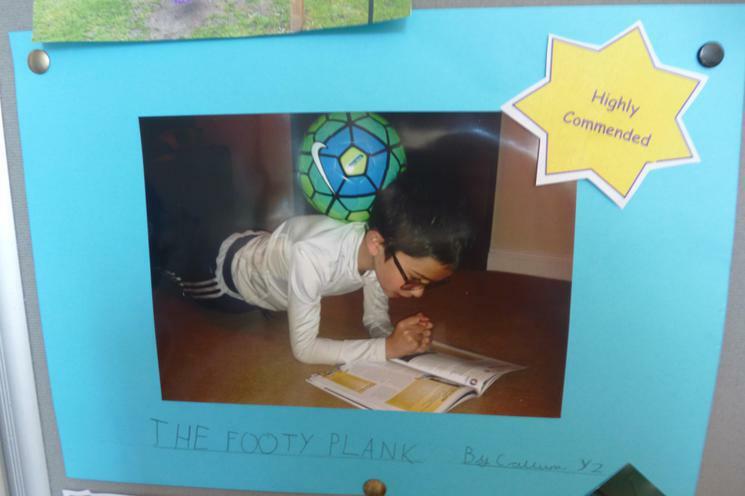 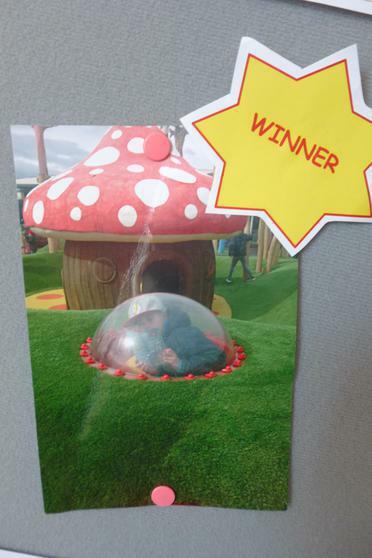 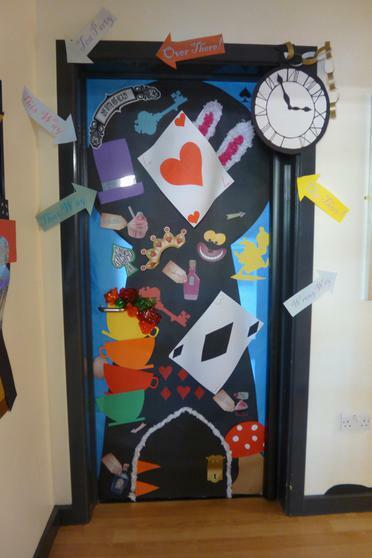 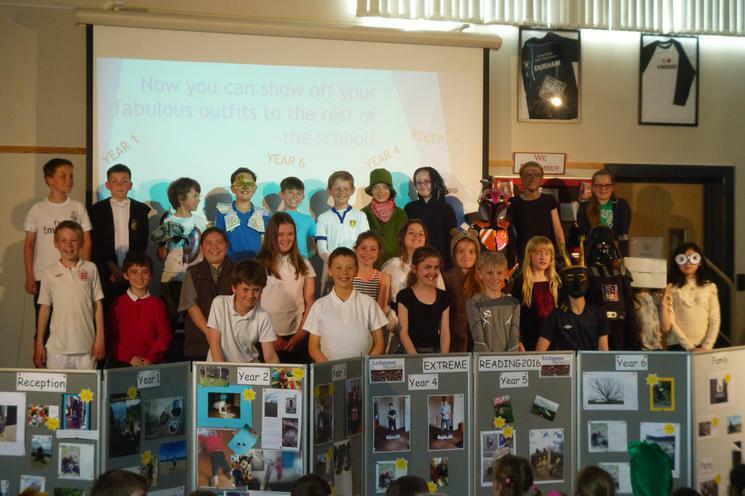 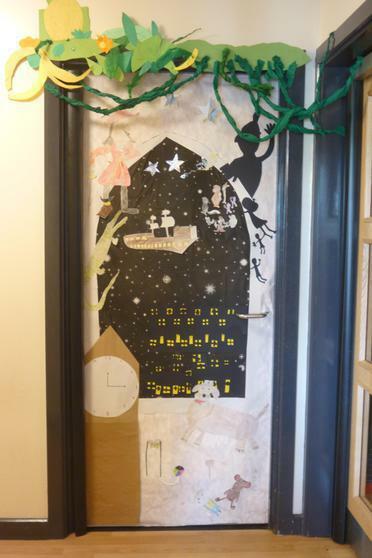 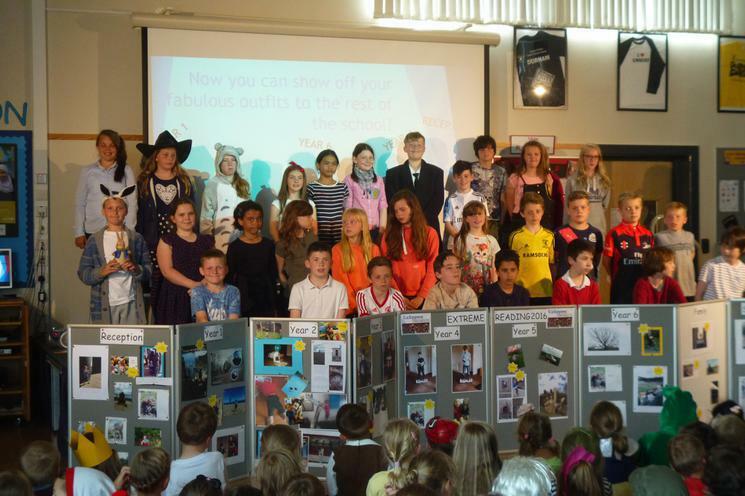 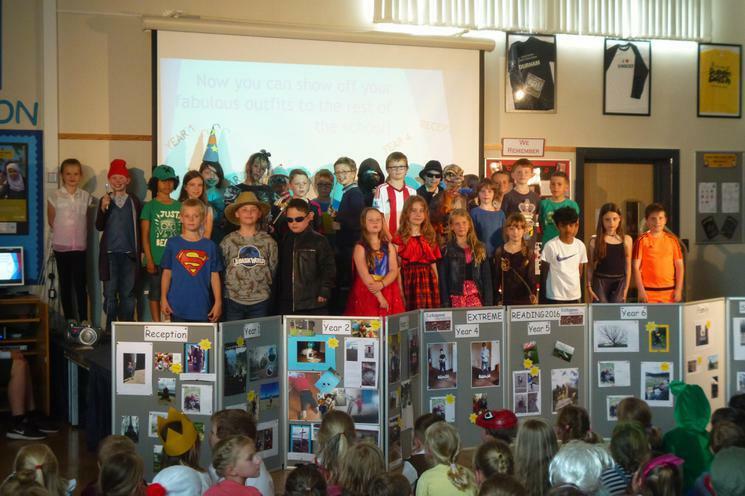 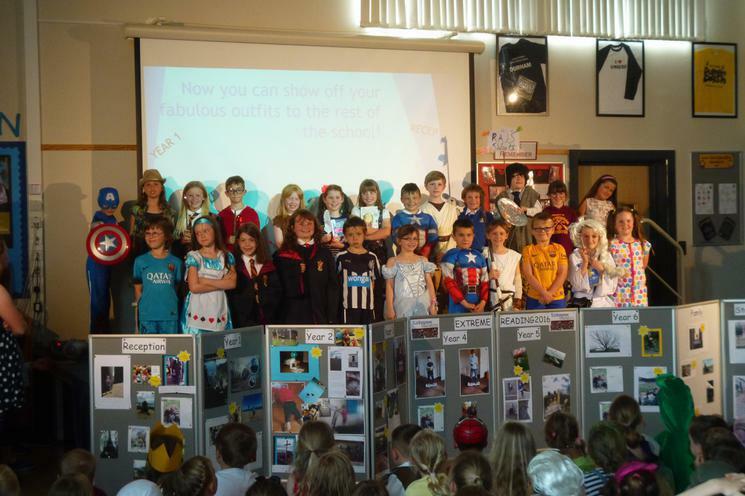 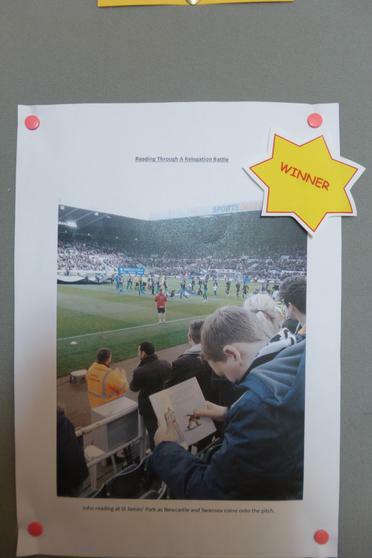 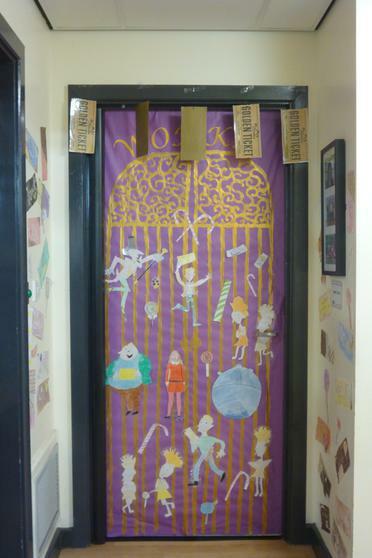 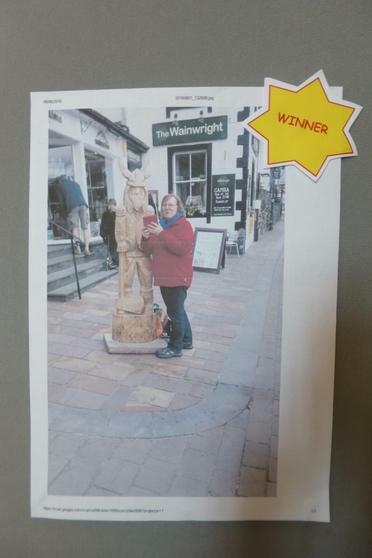 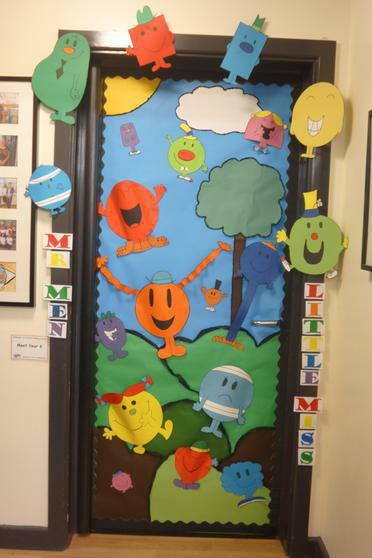 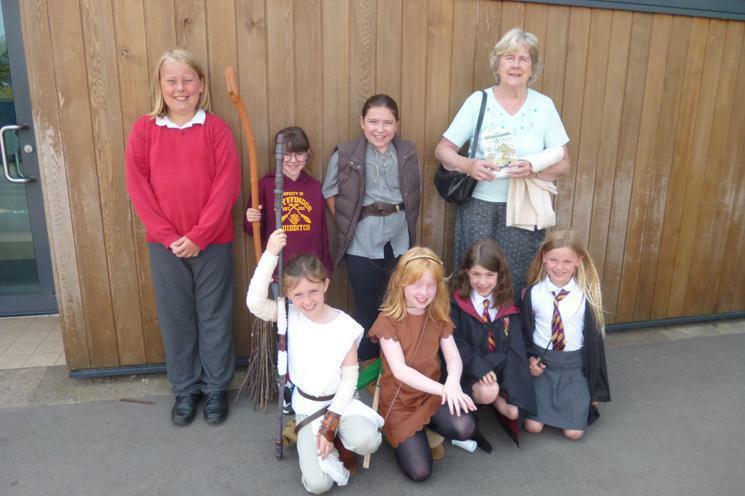 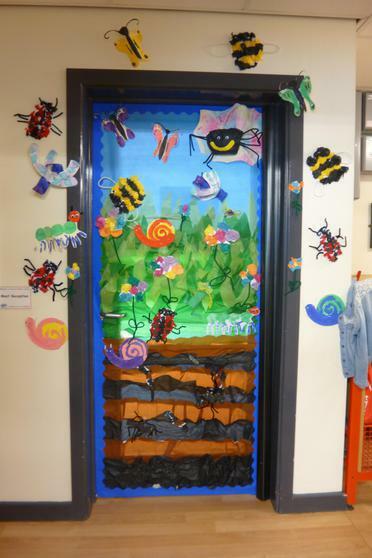 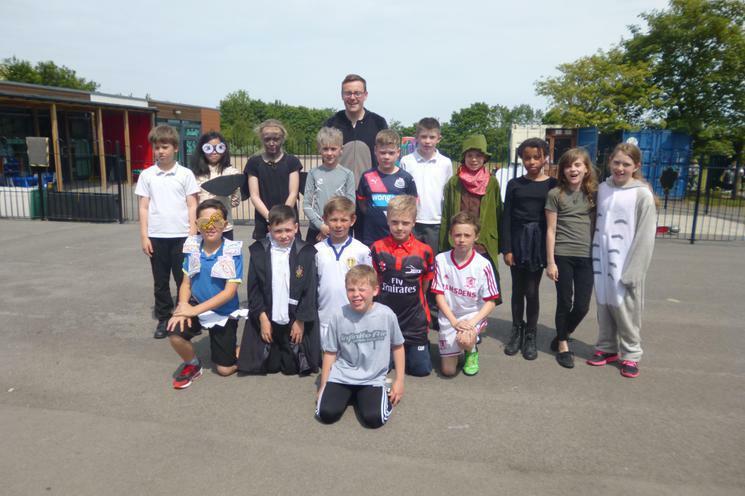 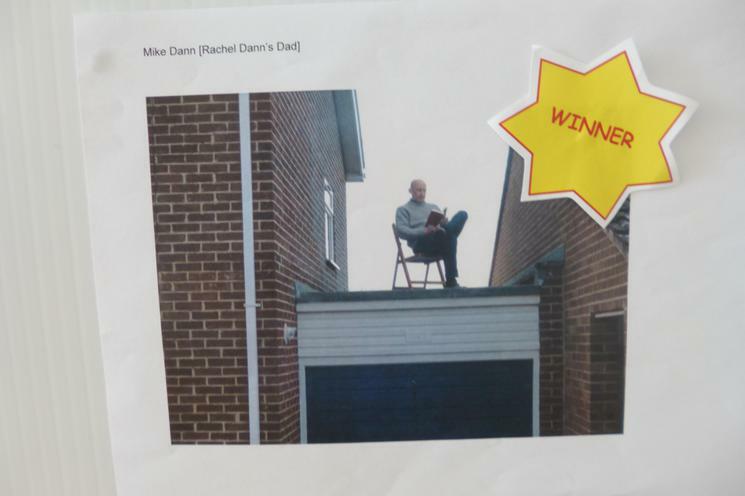 Our competition was well subscribed, the entries were inventive and hugely entertaining! 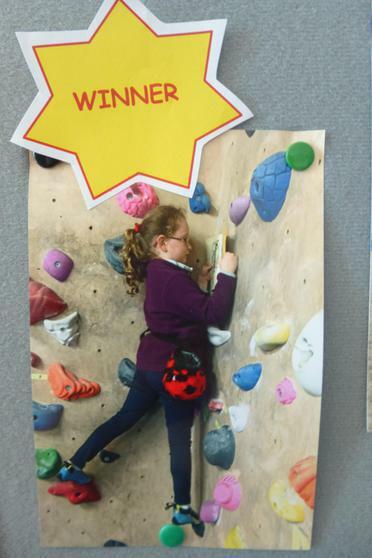 WELL DONE TO ALL PARTICIPANTS & COMPETITION WINNERS!